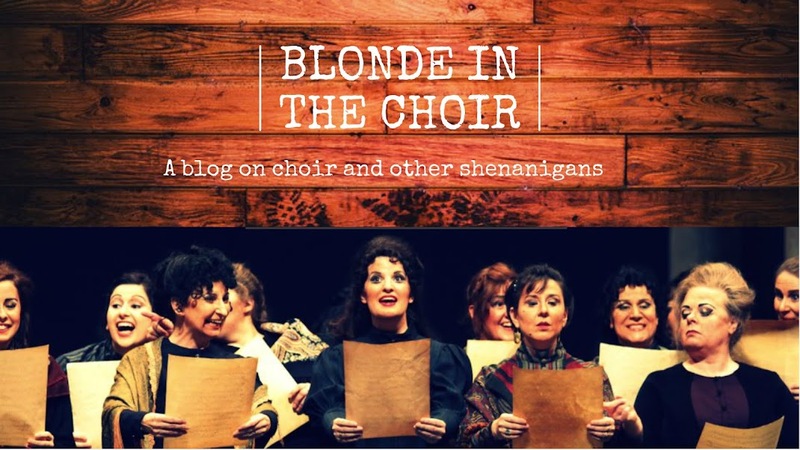 Today's blog post is the twelfth of many interview previews of performing choirs for PODIUM ON THE EDGE taking place from June 28 - July 3, 2018 in St. John's NL. 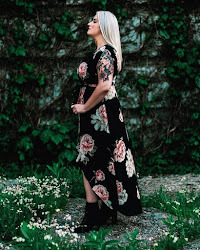 Check out my previous blog posts with The University of Redlands Chapel Singers,Toronto Children's Chorus, Les Petits Chanteurs du Mont-Royal, Capital Chamber Choir, The Oakville Choir for Children & Youth, Elektra Women's Choir, That Choir, Aurora Women's Choir, Sirens Choir, Ensemble Laude, and Chronos Vocal Ensemble! 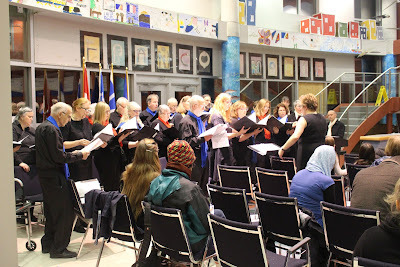 Fondée en 1996, la seule chorale française d’adultes à Terre-Neuve et Labrador, La Rose des vents, est un chœur communautaire de francophones et francophiles qui se rencontrent pour le plaisir de parler et chanter en français. 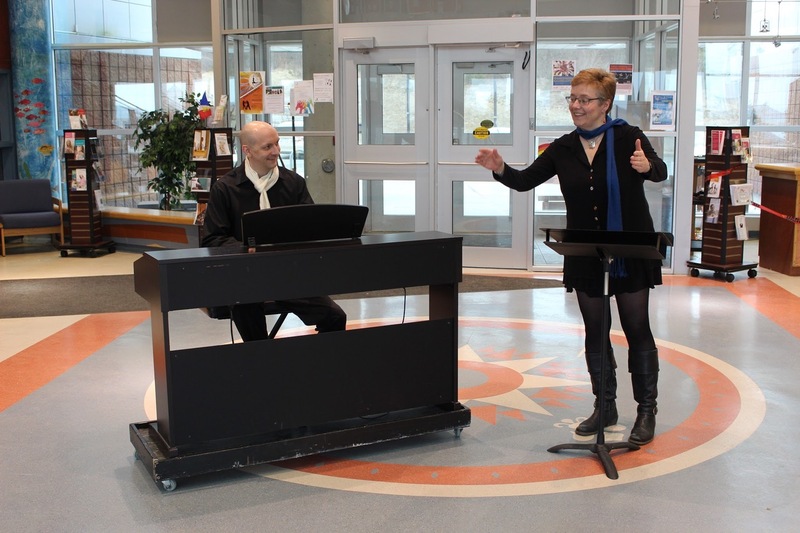 La chorale est un projet de l’Association communautaire francophone de Saint-Jean; depuis dix ans, sa direction est assurée par Claire Wilkshire (cheffe) et David Green (pianiste). Cet ensemble connu pour leur joie de vivre interprète un répertoire varié de chansons à boire, cantiques sacrés, chants traditionnels et mélodies des grands chanteurs, de la Renaissance jusqu’au présent. La rose des vents a hâte de monter sur scène lors du concert d’ouverture de Podium! La Rose des Vents is the only adult French chorus in Newfoundland and Labrador. 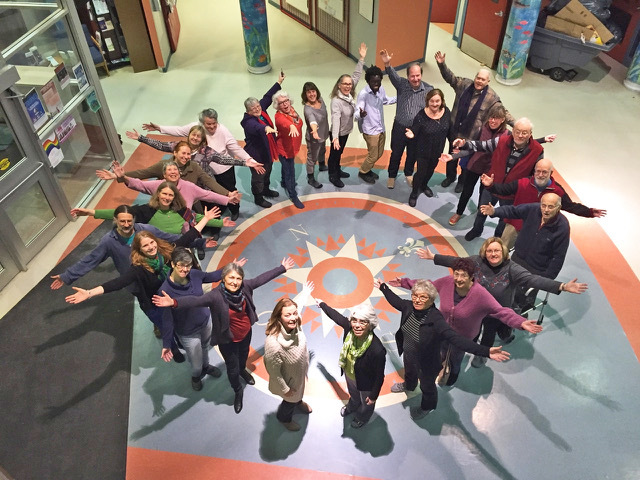 Its members come together because they love singing or they love French – usually both! 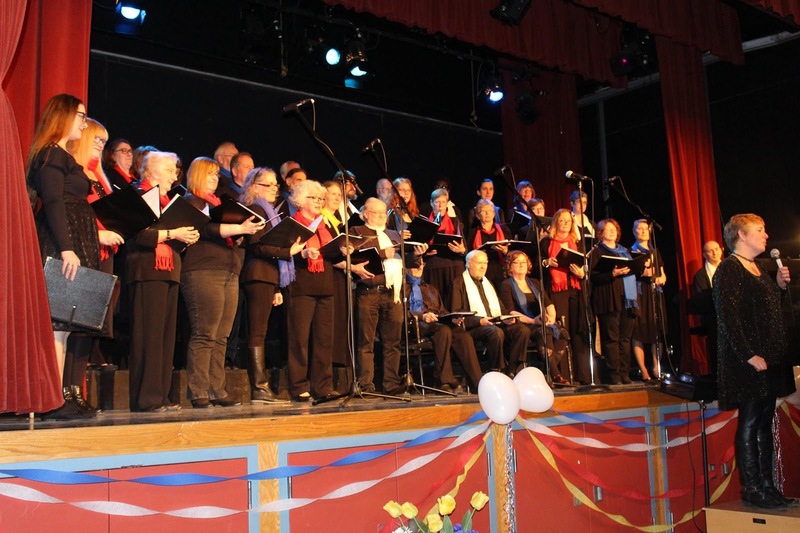 The Francophone Association in St. John’s created the choir in 1996; its current conductor, Claire Wilkshire, and collaborative pianist, David Green, have led the group for ten seasons. This lively gang performs a varied mix of sacred and secular pieces dating from the Renaissance to the present, with a special fondness for drinking songs. They are very excited about performing at Podium’s opening gala concert! CW: We are the only adult French choir in the province, so people realize that when we show up, they’re going to hear some French music! CW: We do lots of fun things, so it’s hard to choose … just a month ago, though, we had our first sing-along in a pub of French drinking songs. We had song sheets, and we taught the audience some simple rounds and songs, and the whole place was singing. Really fun! 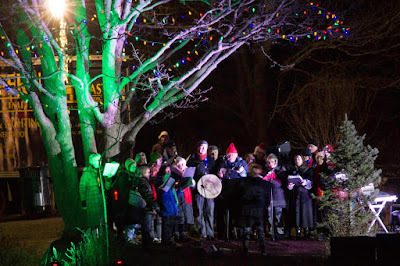 It was also super exciting to open the New Year’s Eve celebrations downtown, in front of City Hall, on 31 December 2016: we kicked off Canada’s 150 right here in St. John’s, and we did the same by singing O Canada and the Ode to Newfoundland on Signal Hill on Canada Day, before most of the country was awake. It might have been pouring rain, but we were up for it! CW: As a non-auditioned community choir, we provide a place for people with some experience or interest in French to practise their skills and to learn more, in a fun environment. Our members are adults of all ages, and there’s an important social component for some people who might not get out a lot otherwise. It’s not as challenging as a chamber choir or a competitive ensemble, and being subsidized by the Francophone Association keeps our costs low, so we are a safe place for people to start out as choral singers. CW: Many of our members don’t have musical training, and my own is pretty limited, so we’re on a musical learning journey together. This makes for occasional moments of frustration, but mostly we muddle along pretty well! We’ve been incredibly lucky to work with fantastic local conductors and visiting guests (such as Pierre Barrette, Charles Bruffy, Robert Filion, Scott Leithead, François Ouimet, Lucie Roy) and we take advantage of every opportunity to try new things. That’s what I love about this group: whatever you’ve got, they’ll try it! CW: When I was in high school, my mother sang in a choir conducted by Dr. Douglas Dunsmore at Memorial University and she said, You should try this–I think you’d like it. At that point anyone could go. I remember Doug saying that if your dog attended rehearsals regularly, your dog could join the choir. I was the dog. I learned so much from watching Doug’s face and his gestures, how much he communicated with the choir all the way through a piece. I fell in love with choral singing. If you’d told me then I’d have my own choir one day, I’d never have believed it. CW: We’ve been invited to France for 2020, which is huge for us, so that will take a lot of planning and be really fun! CW: For many choristers, this will be a chance to visit a province they’ve often thought about but never quite made it to: I hope they love it! We are fortunate to live in a beautiful province with an exceptionally strong choral tradition, so this seems just the right place to hold an event like Podium. I’ve participated in a number of large choral gatherings before – Festival 500, the Choralies in Edmonton, the Chœur du Bout du Monde in Gaspé … and every one has been special and thrilling. That’s what I wish for our guests. For us … we’re looking forward to hearing some French repertoire from the other choirs! La Rose des Vents performs on Friday, June 29, 7:30pm at the Arts and Culture Centre (95 Allandale Road) in the Highlight Concert "Come and I will Sing You" for #Podium2018. Are you a Windows user who’s been tempted by talk of GarageBand? There are great Windows compatible programs and Does Garageband Work on Windows? apps which can do as much, if not more. Here are the best alternatives to Apple’s music production software that you can run on your PC.